Short positions below 1.1405 with targets at 1.1370 & 1.1350 in extension. Above 1.1405 look for further upside with 1.1430 & 1.1455 as targets. As Long as 1.1405 is resistance, look for choppy price action with a bearish bias. 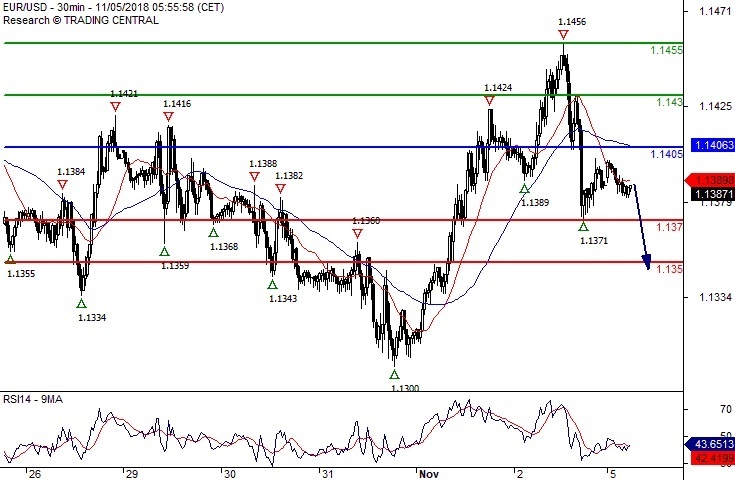 Long positions above 1.2950 with targets at 1.3050 & 1.3090 in extension. 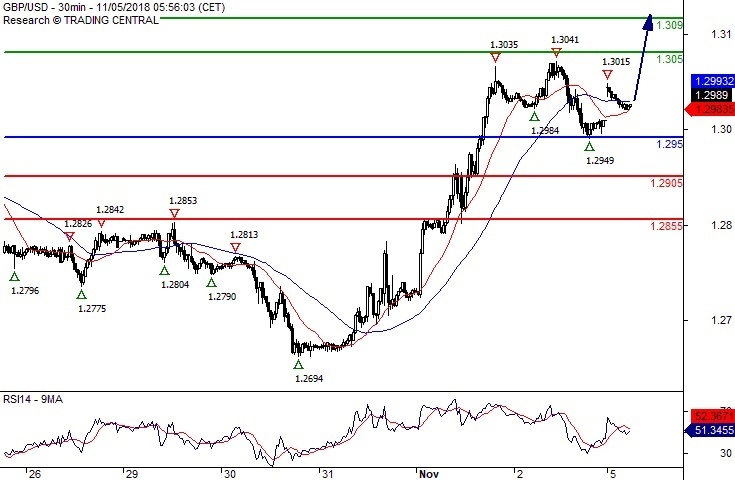 Below 1.2950 look for further downside with 1.2905 & 1.2855 as targets. A support base at 1.2950 has formed and has allowed for a temporary stabilisation. Long positions above 112.90 with targets at 113.35 & 113.60 in extension. 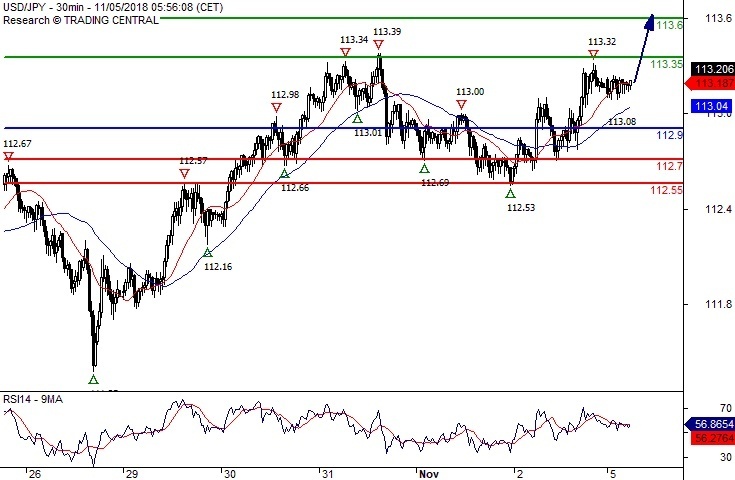 Below 112.90 look for further downside with 112.70 & 112.55 as targets. Technically the RSI is above its neutrality area at 50.